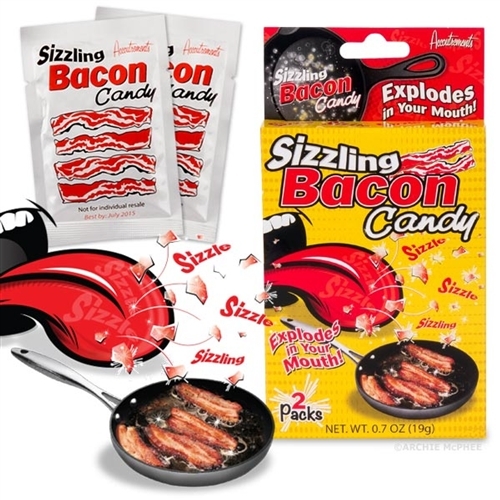 sizzling sound makes it seem like you're cooking bacon over a campfire. taste like bacon, but how many sound like bacon? You get two .34 oz. packets of carbonated candy, for a total of .7 oz. in each box.